What did I learn by attending the first annual global World Happiness Summit in Miami, Florida? I learned that we’re all interested in this concept of true happiness, but we have absolutely no idea how to get there. 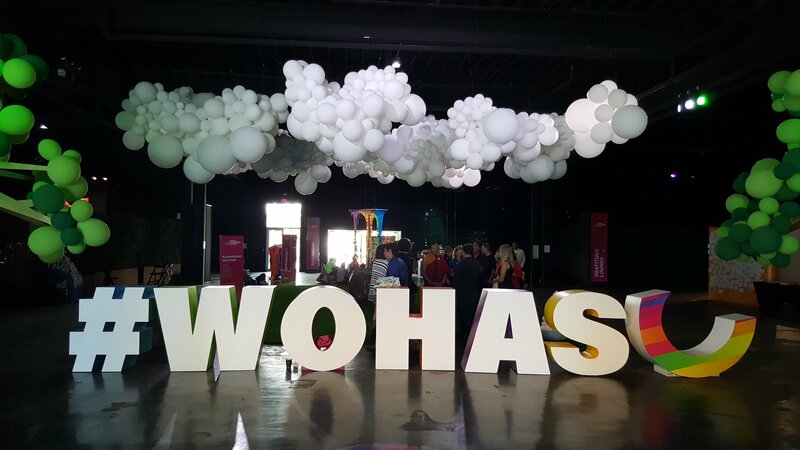 I had the opportunity to visit The World Happiness Summit this March because I happen to live in the city where they decided to hold this very first summit experience #ChooseHappiness #WOHASU. Frankly, it was a happy coincidence for me (pun intended). The summit, though small, had a mighty imperative; for experts and activists to gather and talk about how to bring about a world dedicated to its own happiness. I had no idea that this World Happiness Summit was even a thing. I guess I don’t run in the circles of Happiness and Wellbeing experts and activists. Ha! Actually, it seems if I had run in LuluLemon Athletica circles, I would’ve known all about WOHASU, as the yoga athletic brand was a major sponsor. The other reason? From my perspective, when it comes to happiness, we as a society don’t place an incredible onus on being happy. Weird to say, right? Our constitution guarantees every man the right to “life, liberty, and the pursuit of happiness,” yes? So many articles, books, musings, anecdotes, TED talks, Oprah show topics, YouTube-ings, gallery art shows, coffee table books, “et cetera, et cetera, et cetera” (to borrow words from my favorite King) point to something different being true about our relationship to Happiness. Except for… that’s all hogwash. We all want to be happy, but to truthfully and fully explore what makes us happy… well, that’s a course we simply don’t have the time for! If it’s not as simple as a beer and BBQ, many of us cannot be bothered. We want happiness to be simple. A stone’s throw away. Not something we have to think too hard about. No wonder they created a World Happiness Summit where at the top of their list this year was discussion of how to bring happiness into the workplace; how happiness boosts productivity; how happiness prolongs life. (Well, I may have made that last one up, but I’m sure that’ll be on topic for next year.) However, it was a mighty, but small, not very well attended event that has such great intentions. What does it take to get people interested in their own happiness? Enough to attend a 3-day event that is taking an honest, albeit limited, approach to the exploration of happiness? And that Happiness must be continually connected to Being Productive is a kibosh. What?! Are you saying if Happiness can’t be connected to being productive, what good is it? Look, I get it. It seems like almost everyone is the head of their own business these days. And as a coach, I know that folks everywhere want to get into the mindset of a CEO; and not just any CEO, but a “successful” CEO. But what happened to… ? What happened to Happiness for the sake of Happiness? Is that only for the Hippies, for the Free Spirits, for the folks who have heart attacks and go on sabbatical to get their health and lives back? Does this mean that real, true happiness is only for those who have managed to live in the face of almost dying? Or does it mean that it’s time for us all to take a really good look at what it means for us personally to be happy? Look, some of us are doing it. Some of us are getting off the hamster wheel, off the fast track, taking the blinders off. Some of us are joining the Tiny House revolution and finding ways of enjoying our lives within our means so that we don’t have the overwhelming debt of some American dream taxing us (all puns intended). Some of us are exploring ourselves through traveling the world, or exploring theology/multiple religions. Some of us are… well, we’re finding our way to “more” of ourselves. Only you know what truly makes you happy. And only you can go beyond the things outside of you that make you happy and get to the inner work of discovering through play and wonder what makes you giggle, light up, or feel great. Again, not from the outside but from the inside out. Kudos to Live Happy magazine for pulling off this first summit of its kind. I wish them prosperity in bringing this event to the next level, and delighting in their own evolution as they become a resource for so many to find greater depths to their joy, to their being and to their lives. Just remember though, nothing is as great a resource as the world within you. Be well. Be blissful. Monique, Fierce Purveyor of Bliss!